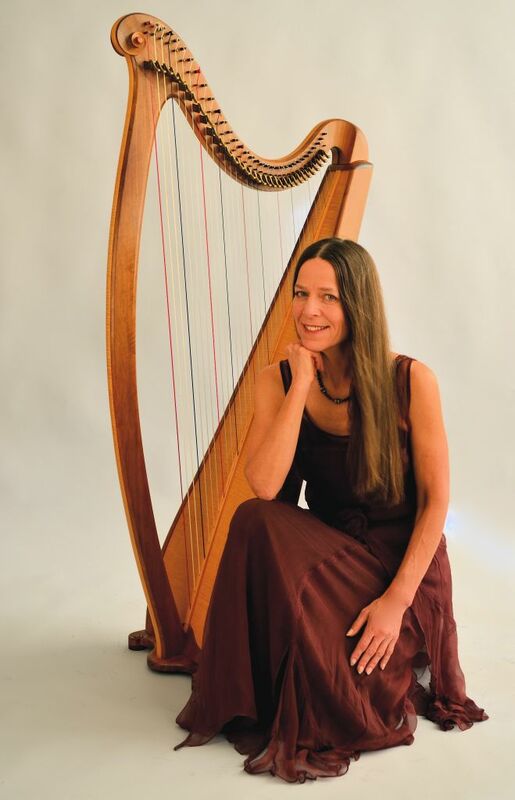 Diana Stork has been well known in the international harp world for over three decades for her eclectic style which incorporates ethnic, classical and contemporary harp traditions. Based in the San Francisco Bay area, Diana has performed for such diverse groups as the Line’s Contemporary Ballet, the Maihar Orchestra of Maestro Ali Akbar Khan, and the Peace Ceremony of Thich Nhat Hahn at Grace Cathedral. Diana has toured Europe and the US performing world music and original compositions since 1987. 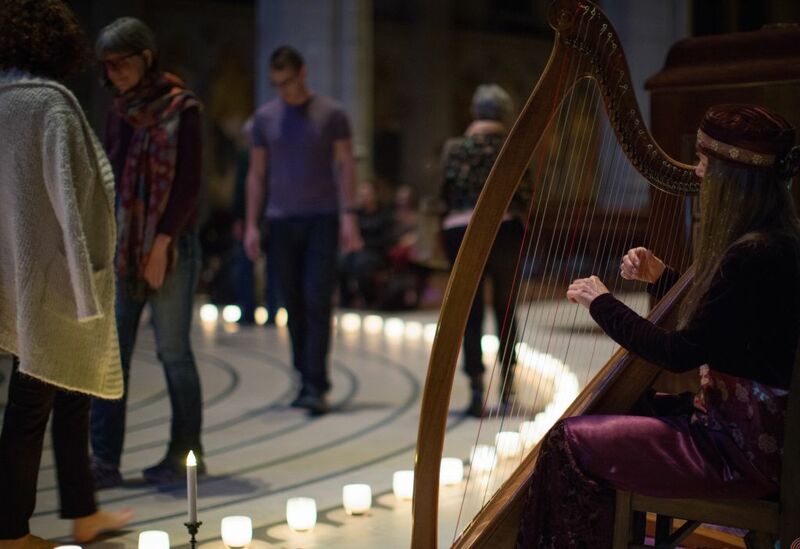 She performs as a soloist, and in ensembles such as the duo TWIN HARPS with Cheryl Ann Fulton (modern lever and Medieval harps), the fusion trio GEIST (World music), the Celtic harp trio TRISKELA, and with Portia Diwa performing music for Walking Labyrinths. She plays harp for weddings, memorials, celebrations and parties, church services. She also performs for dance and theatrical shows and childrens events. Her large repertoire consists of Celtic, Latin and other world music styles, Hindustani ragas, European Classical, Medieval and Renaissance, and some popular tunes. 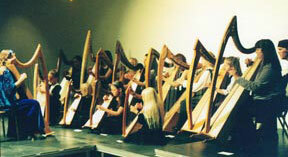 She is also known for her original compositions for the harp, many which have been written specifically for weddings. Diana co-founded the MULTICULTURAL MUSIC FELLOWSHIP, a 501 c3 California non-profit in 1999. She has been MCMF’s director since that time. 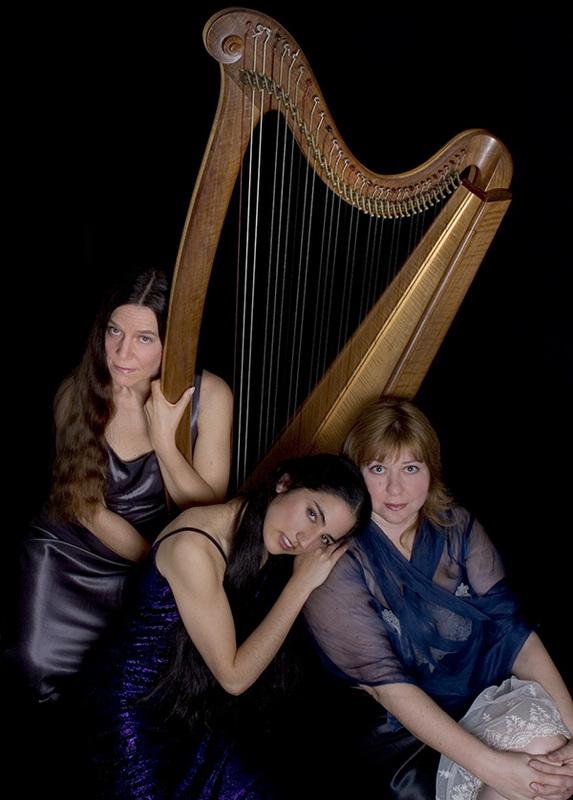 MCMF works to bridge cultures through the Festival of Harps concert series, and numerous educational activities such as the Bay Area Youth Harp Ensemble and the Mission Harp Ensemble (featuring music from Latin America). She can be heard on dozens of albums including HARPESTRY on Universal Records, and SACRED LIGHT on the At Peace Music label. She has a number of solo CDs including Herald of Spring, Then and Now, and Harpdancing which feature her Celtic and Classical roots and her explorations of World music. She is an active teacher and Director in the Bay Area, and has seen her students blossom to become world class artists enriching audiences and reshaping the world of the harp.